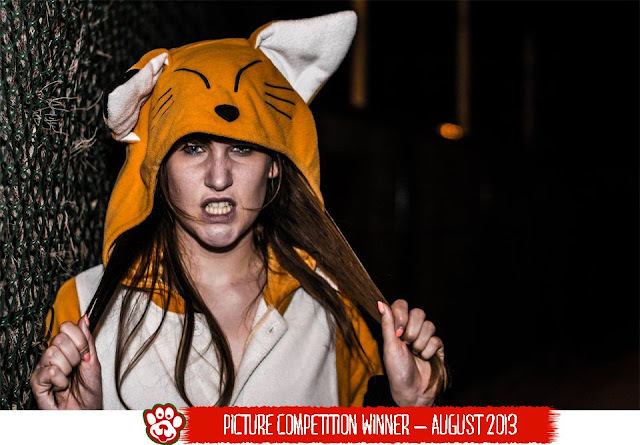 Well done to Dylan, who ran away with the prize in August's animal costume photo competition, with this very professional photo featuring our fox kigurumi costume. Dylan wins a £50 voucher to spend on anything he likes in our online shop. If you'd like to win your own £50 voucher, to spend on our kigurumi onesies, t-shrits and fancy dress animal costumes, just send us a pic. It can be a photo or drawing and the only rule is that it must feature an animal costume (not necessarily one of ours). So get snapping and good luck!